Top Surgeon M. Persky M.D. The aesthetics of the nose define a person’s appearance, shaping the character of a person, their attractiveness, and their beauty. It reflects their family history, ethnicity, and culture. 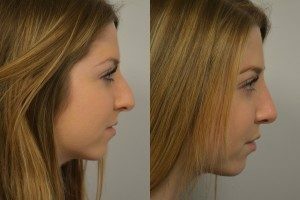 For many years, people from all different walks of life have been reshaping the nose, either for cosmetic reasons or to project a person’s image or place in society. The nose is the central feature of the face, so it is no surprise that rhinoplasty has become vastly popular among different races, cultures, and genders. Since the nose can affect the symmetry of the face, rhinoplasty can be performed to change the shape, size, or profile of the nose to harmonize with the other facial features. 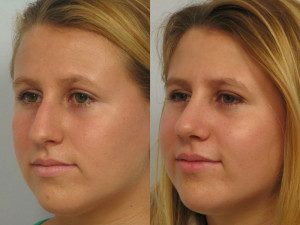 Rhinoplasty may result in subtle or large changes that will make a huge difference in the overall facial appearance. The eyes, the windows to the soul, should be the central focus of the face. A beautiful nose is well-proportioned and does not distract attention away from the eyes. If you are interested in a Rhinoplasty Surgery, please schedule your consultation with Dr. Persky by calling (818) 918-9252. Join our newsletter to receive special offers & promotions exclusively available for subscribers. Ideal candidates for rhinoplasty are sure they want to have the surgery for the right reasons. They have given thought to changing the appearance of their nose for many years. They should be in good health and realistic about their expectations. It is important that the patient is specific about what they want to change about their nose. To get a clear idea about rhinoplasty and what you can achieve, schedule your consultation with Dr. Persky in Encino, San Fernando Valley & Thousand Oaks. Good communication with the surgeon is the most important part of your consultation. Make sure you tell your doctor what you don’t like about your nose and what results you are hoping to achieve. At this time, Dr. Persky will examine your nose and take photographs. He will use computer imaging to provide you with a better idea of how your results could look. You will also be shown before and after photos of previous patients. A customized rhinoplasty plan will be created based on the patient’s anatomy, diagnosis, and aesthetic goals. Rhinoplasty can be performed under IV sedation or a general anesthetic. At our state-certified outpatient surgery center, the operation will take about two to four hours. 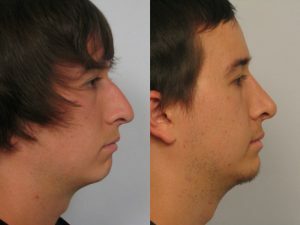 Depending on the patient’s desired results and what Dr. Persky recommends, rhinoplasty is either performed using an open technique (a small, inconspicuous incision at the base of the nose) or a closed technique (incisions within the nose). 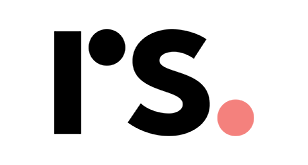 With both techniques, part of the bone and cartilage can be removed to reduce the size of the nose. At this time, the nose can be straightened and sculpted to the desired shape or to correct a crooked septum. After surgery, you will feel stuffy due to mucus and dried blood in the nose. A splint and tape will be placed over the nose to keep it straight and in place. Dr. Persky does not routinely use uncomfortable nasal gauze packing after rhinoplasty, allowing for a much more comfortable recovery period. You will spend about 60 to 90 minutes in the recovery room, and then you will be able to return home with a designated driver. For the first 48 hours, patients should keep the head elevated above the heart. There will be a minimal amount of discomfort; however, TYLENOL® or a prescribed pain reliever can be used to alleviate any discomfort. Two to three days after surgery, the nose will be cleaned by the doctor, and the tape and splint will be removed five to six days after surgery. Patients should expect some bruising and swelling for the first seven to 10 days. Most physical activities may be resumed after three weeks. The nose continues to heal for the first year after surgery, at which time the final result can be appreciated. However, the nose will continue to look better over the years as the skin thins and normal scar tissue fades away. Breathing may be difficult for the first few weeks but will become easier over time. Patients will see subtle changes that make a dramatic improvement not only in the nasal profile but also to the overall harmony of the face. Dr. Persky has been performing rhinoplasty for more than 30 years. His vision, artistry, skills, and experience can assure you are in capable hands when undergoing rhinoplasty. Dr. Persky is an experienced and reputable facial plastic surgeon who has helped many patients achieve their cosmetic goals. Call our office in Encino today at (818) 918-9252 to find out how he can help you obtain the aesthetic you desire or to learn more about our financing options. You can also fill out our online contact form. If you are traveling from out-of-town, please call (818) 918-9252 and send an email to Bookings@DrPersky.com. Once your photos are reviewed, you will be contacted by the office. To make your visit as comfortable and convenient as possible, we have selected the best hotels in the Los Angeles, Sherman Oaks, Thousand Oaks, and San Fernando Valley areas. You can find the full list of recommended accommodations here.